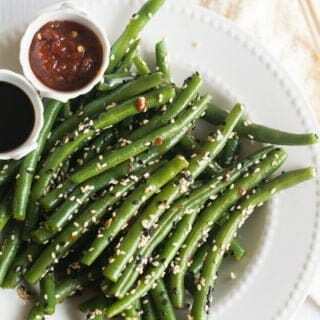 Chinese green beans made with soy sauce, rice vinegar, chili paste and sesame seeds. Looks gorgeously with sprinkled sesame seeds. Soft and tender green beans made perfectly like in restaurant style. Perfect f0r any large crowd or for any special meals. Chinese green bean, I make this special spicy dish whenever I plan for barbecue or grilling dinner. Here, not to mention that is welcomed by my family every time I make. I found it is best to be paired up with lemon chicken or pan-fried garlic chicken. Because this spicy crunchy bite balances well any of the non-spicier main course. 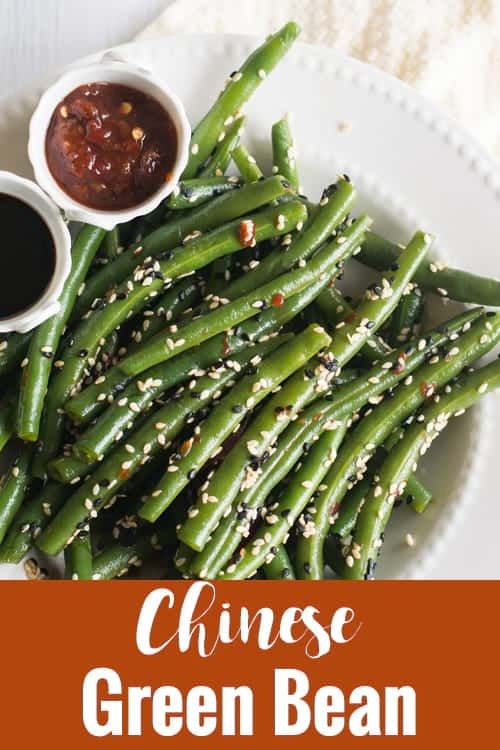 Chinese green bean is the easiest dish you could make which approximately takes around 15 minutes from start to finish. So, no need to plan ahead for making. There are no time-consuming jobs involved in this recipe. Just chop off the tails, cook the beans and toss it. That’s it, the only thing you need to have handy with ingredients like chili paste, rice vinegar, soy sauce and sesame seeds. Chinese green bean is healthy as well. You get the all the benefits of green beans and sesame seeds are the good source of calcium too. Select fresh green bean. Fresh vegetables always taste great and healthy too. Chop off the head. I use to remove both head and tail. I honestly do not know the reason, but my mom does it and I’ following her too. Though Adding sesame seeds are optional here in this recipe, but I would suggesting them to add as it great for appealing to the eyes, adds crunchiness while eating and also it is a great source of calcium. If you are planning to make for the large crowd, cook green beans ahead and refrigerate it. Toss it few hours before you serve. I would suggest you use rice vinegar, as it is more flavor full and brings out a great taste. The cooking time for the green bean depends on how crisp you want. I wanted my green beans to be perfectly cooked and it needed 4 minutes approximately for making Chinese green bean. 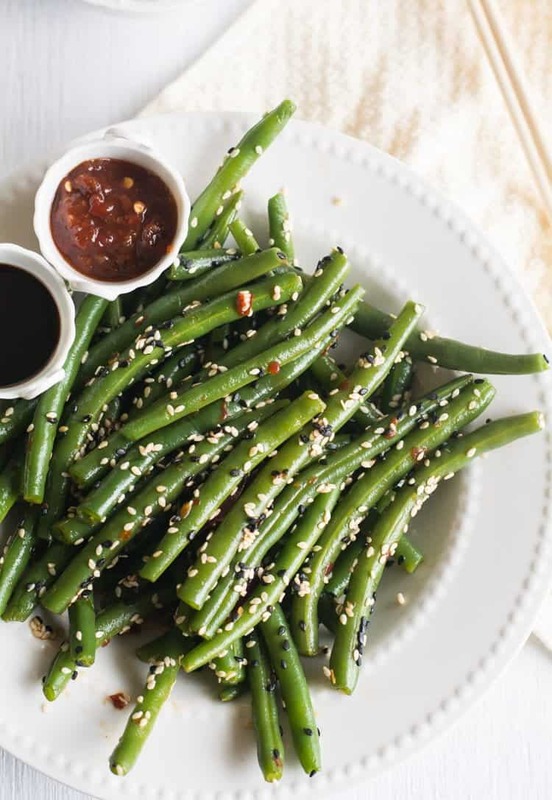 Chinese green beans, an easy recipe made with soy sauce. This is an Asian style spicy and healthy stir fry. I'm sure your family will love this low carb, vegan dish. It simple and tastes heavenly. Best to serve with fried rice. In a large pan, bring water to rolling boil. Add green beans and cook it for about 4-6 minutes or until is crisp and cooked. Check in between. Once it cooked perfectly, transfer to cold water. Drain it, and pat dry. Heat a pan. Add a teaspoon of cooking oil and simmer the flame. Add sesame seeds and fry it crackles. Then add soy sauce, rice vinegar, chili paste and green beans. Fry until everything coats green beans evenly. 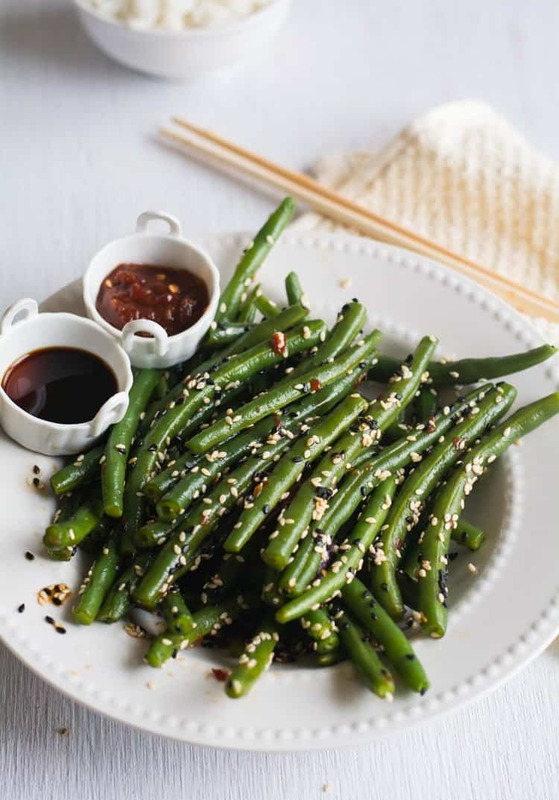 Liked this Chinese green bean recipe? follow us on Facebook, Pinterest, Instagram.